Known and trusted since 1876, Burpee is all about high-performance plants, all-season support and successful home gardens. The Burpee company was founded in Philadelphia in 1876 by W. Atlee Burpee, an 18-year-old with a passion for plants and animals and a mother willing to lend him $1,000 of “seed money” to start his business. Although it began as a livestock company, within 25 years Burpee had developed the largest, most progressive seed company in America. By 1915 Burpee was mailing a million catalogs a year to America’s gardeners. Burpee is still a family seed company and still in the Philadelphia area. Today Burpee is owned and operated by George Ball, Jr.
Burpee plants is a collection of the leading garden vegetables, herbs and flowers available at your favorite local garden retailer. And like our best-selling seeds, all of our plants are trialed and selected to ensure your gardening success. The Burpee name is synonymous with the tastiest tomatoes and most flavorful herbs. By giving you the best choices for your garden, Burpee plants make gardening easy. 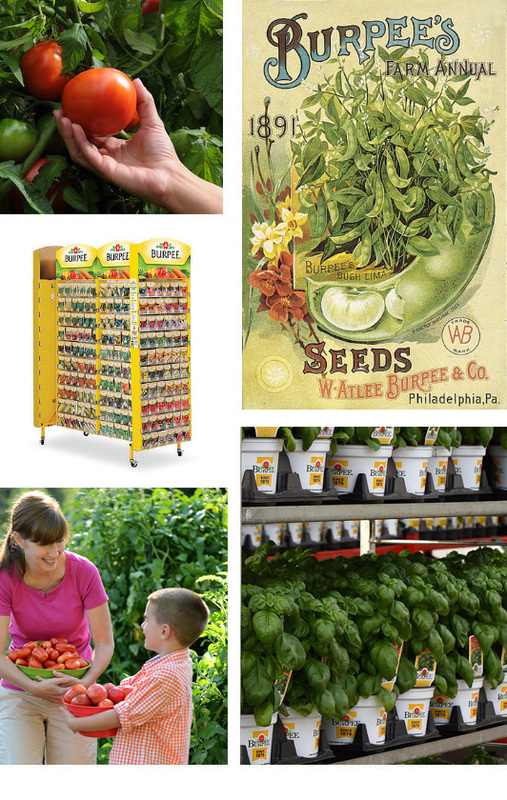 In addition, Burpee provides you with inspiration and ideas to help create a garden that’s uniquely yours. Whether you grow in rows in a backyard, plant on a patio, or relax on a rooftop, Burpee has the choices to fit your lifestyle. Let us help take the guesswork out of starting your own vegetable or flower garden with helpful gardening tips from the time you plant until harvest day. We’ll even share some favorite recipes to feed your inner chef. Talk to us anytime! We’d love to hear your garden success story or see photos of your harvest. Thank you for choosing Burpee!